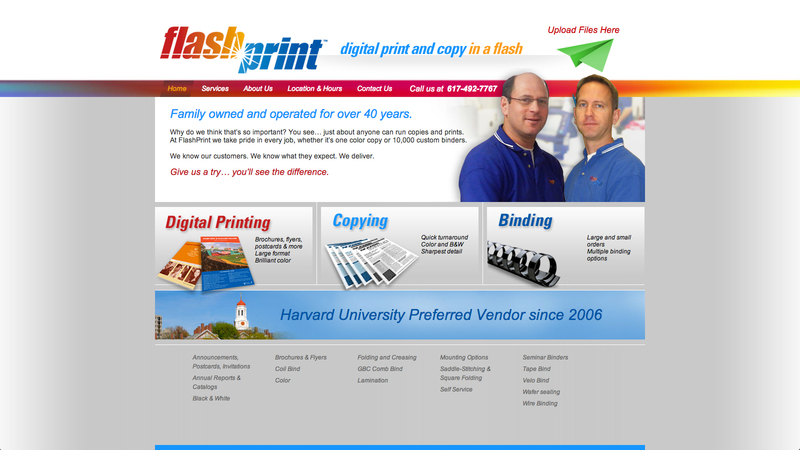 Flashprint is a busy print center located in Harvard Square. Their website is constantly busy with customers submitting files and looking up additional service offerings. Visit this Cambridge print and copy center's website.